Made Right Here In Maine, USA. 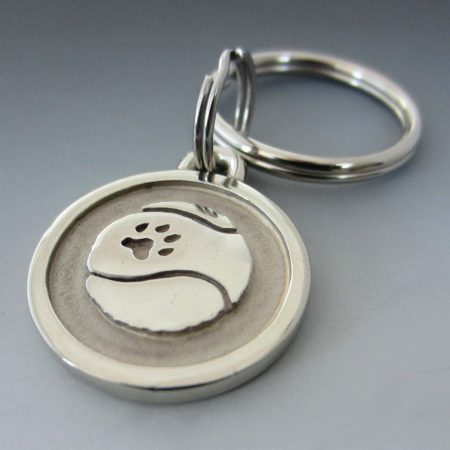 These Dog Id Tags Will Last The Lifetime of Your Dog. We Guarantee it 100%. 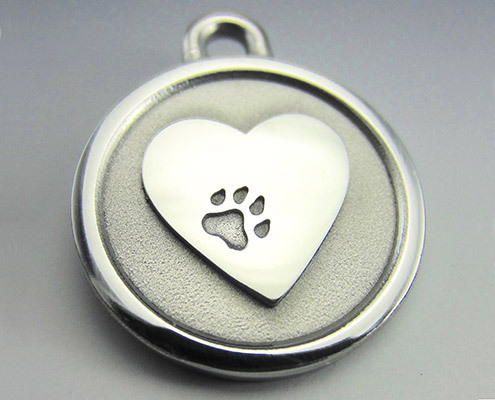 Stainless Steel Dog ID Tags That Won’t Rust or Discolor In Fresh or Salt water or Any Weather. Tough Stainless Steel Attachment Hardware Included – Best Reviews on the Internet! 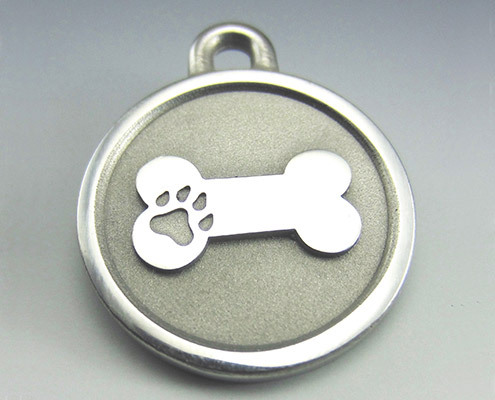 Our stainless steel pet id tags are a one time investment in the life of your dog because they hold up so well and stay looking great. 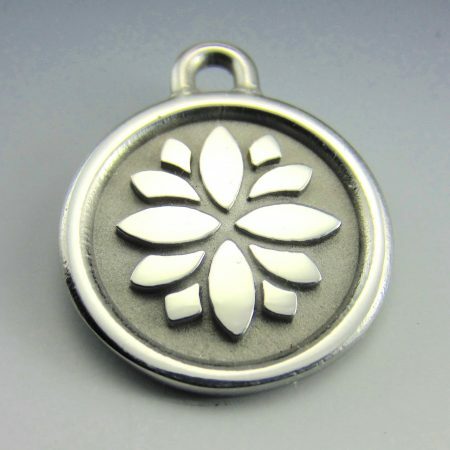 For a small fee, we re-engrave your tag if your information ever changes so you really, really, honestly never have to buy another! We stand behind our products 100%. 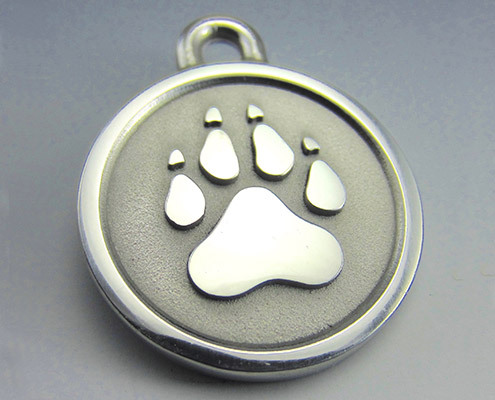 Silver Paw will replace, repair, or refund your purchase if you are not happy. 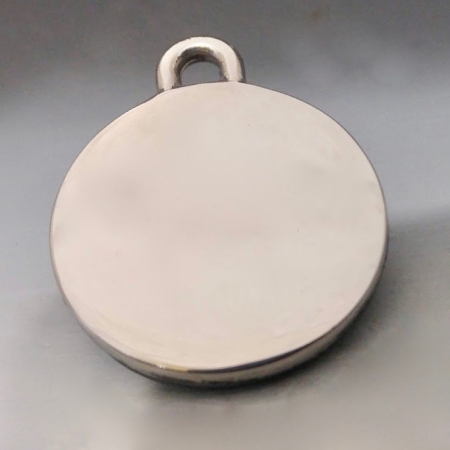 The Cadillac of alloys in its hardness and non tarnishing capabilities, duplex 2205, is a perfect fit for a high-quality dog id tag providing you with the finest, most superior hanging dog id tag on the market today. We guarantee it! 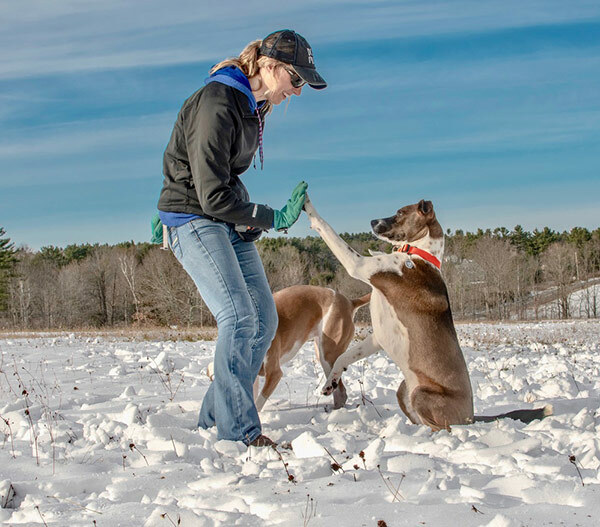 Stainless steel alloys like 304, 306, and 316 will not hold up on active dogs like our duplex 2205. 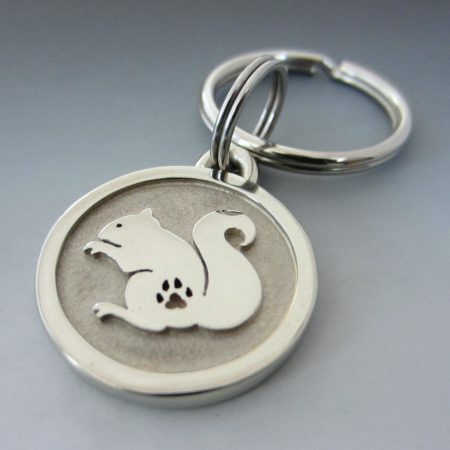 Imagine a beautiful piece of jewelry for your dog that just happens to be indestructible! Our mission is to combine tasteful design, quality craftsmanship, extreme durability, and excellent customer service with a lifetime guarantee and we are obsessively committed to it. 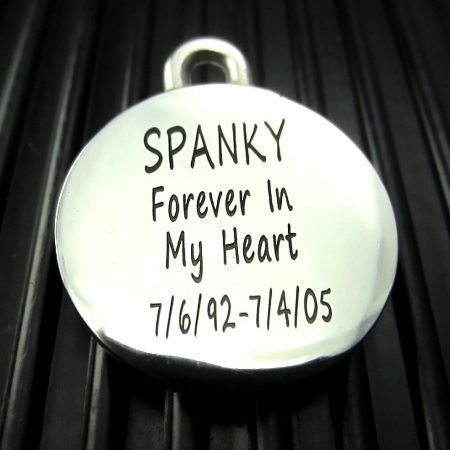 The thickness, material, and deep engraving on our pet id tags are what sets them apart. There isn’t another tag on the market that offers what we do. We believe it’s high time there was…. 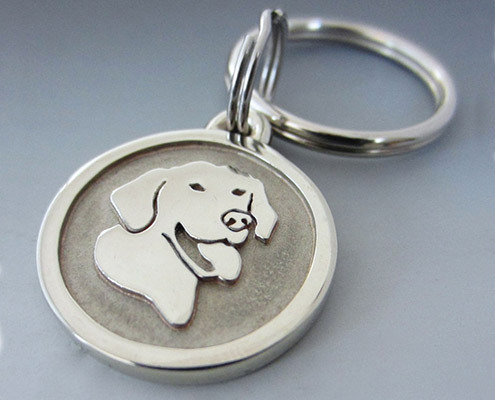 We want you to have the WHOLE experience of dealing with a good dog id tag product. That means providing kind, caring, speedy, and informed service. From the design of our site, to order confirmation, processing, shipping, status, and questions, we want you to have an enjoyable experience to associate with our fine products. Just a phone call away Monday – Friday, 9am-5pm EST, we’d love to hear from you! 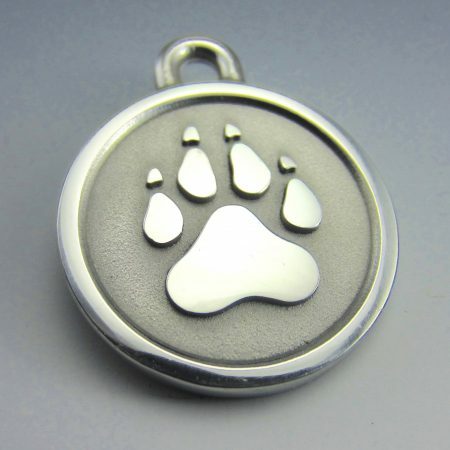 I found Silver Paws when searching Google for a good quality, Made in America heavy gauge dog tag. My Husky ate through every nice tag I got at the pet stores. The amount I was spending on each supposed “durable” ID tags were easily munched and mangled, so I figure why not spend a few bucks more and get a GOOD tag? 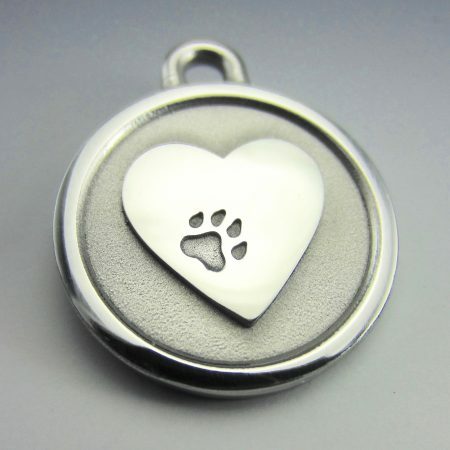 Now, $30 for just a tag can be a bit hard to swallow, but they are 100% worth it. They are heavy, thick, and high quality. I hung it a little higher than I had last tags, but I am tempted to hang it lower and see how it truly stands up to his chewing. Not only is this a superb choice for an ID tag, but they ship it out IMMEDIATELY! I got it in literally 2 days from the time I placed my order. Highly recommended! 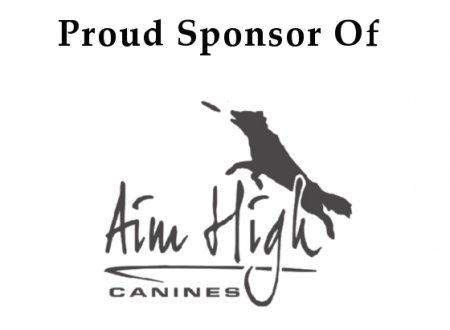 100 % made in Maine with a lifetime guarantee on tag and engraving.